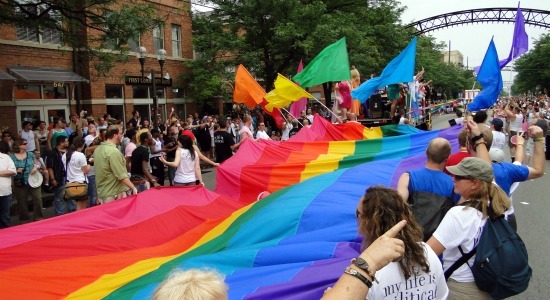 Today I went to Columbus for Gay Pride. I wantched the parade along N. High St. Afterwards, I followed the crowds to Goodale Park where I met up with Shawn who had marched with the Capital City Pride Band in the parade. We walked around the festival for a couple hours and got a cool drink. I watched Shawn and the band perform one more time in the park before heading out for a bite to eat. After dinner at Champps and visiting with shawn I was off to Exile Bar for a few beers. I wasn't out too late and I stayed out of trouble. Then I was headed home for a good shower and off to bed. Click here to see all of my pictures from Gay Pride 2011.